MREAC assists and supports the construction of wetlands throughout the Miramichi River watershed. 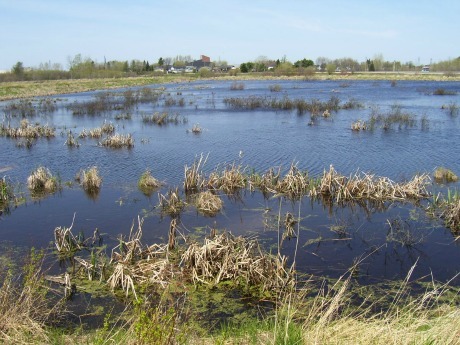 MREAC was engaged with Ducks Unlimited, the City of Miramichi and other partners to complete a 35 acre wetland within the City of Miramichi to promote waterfowl and wildlife habitat, wetland education, recreational opportunities and improve surface water management. The Chatham Wetlands is a functioning two-cell wetland with associated replanting, trail development, interpretation and access planning. MREAC was also a key stakeholder in the potential of having a large effluent lagoon of a closed pulp and paper plant converted into a wetland. MREAC has also been involved in the construction of four other wetlands in previous years and continue to be engaged with the landowners in their functioning and management issues on an as-needed basis.